where they made it, and that they put their heart and soul into it. It is Kimberley’s passion for jewellery and her love for family that makes her jewellery stand out. Kimberley hand makes every item and they are created with sentiment and thoughtfulness so you can give the perfect gift. 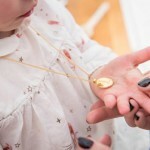 Being a Mum has helped her realise what’s important in life, and her lockets are a testament to this. Hidden thoughtful messages and keeping photos of loved ones close to the heart is what really matters. You can customise your jewellery to your needs. Because you know that Kimberley makes the jewellery you can customize your jewellery and include something special and unique to you; be it birthstones, or engraving, or even to include a handwritten note for the recipient. See our ‘Ways to Customise your Jewellery’ page to see options available to you. Each piece tells a story and holds a message, a little piece of love goes into each and every piece of her jewellery. Time has been taken to ensure each item is perfect. Handmade jewellery is unique and the quality is higher, than that of mass-produced items, the finish better and the design more superior. And because it is made especially for you, you are the only person with that individual piece of jewellery, which is something pretty special. And it makes a wonderful present. Customer service is always paramount as we want you to prove how great our products are and for you to come back. See our glowing testimonials to see what Kimberley’s jewellery means to her customers. So we aim to make sure every piece of jewellery is perfect as it goes out. We also gift-wrap every item in our beautiful boxes so they make a one of a kind, thoughtful gift, which will be delightfully received. See our gorgeous video of our packaging.